Many photographers recently upgraded to the newest version of Lightroom, only to have their work come grinding to a halt as the program became completely nonfunctional. Others found their standard workflow disrupted by the removal of longtime features. Either way, many are very displeased with the latest update and have taken to the Internet quite vocally to make their concerns known. 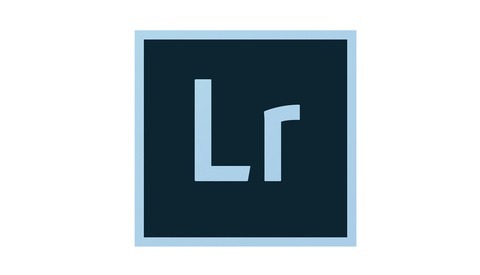 Adobe released the latest update to Lightroom on October 5. Within 24 hours, the Internet was aswirl with angry users. The backlash seemed to center around two issues: changes to the "Import" section and the program crashing. 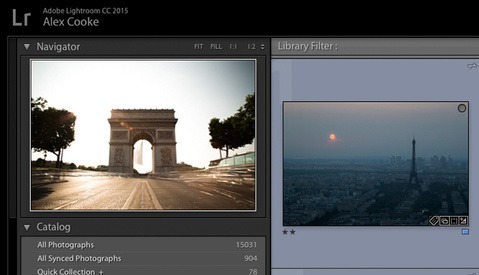 Ejecting cards: Gone is the feature that ejects a card automatically after Lightroom completes an import. I know that I personally loved this feature, as it saved me from absentmindedly removing a memory card after importing photos without ejecting it first and risking corruption of the files. I have a hard time seeing why a feature that really has no bearing on major functionality in the program and is only an added convenience would be removed. A glance over online forums indicated that I wasn't the only one who felt this way. Moving images: Also gone is the option to change the file location of images upon import. In previous versions, importing photos from the hard drive gave you the option to also move them to a destination of your choice. You might ask why you would be importing images from the hard drive and not the memory card. It turns out that Lightroom is very slow at importing photos from a memory card. It's much faster to copy them to the hard drive, then import them. For many of us who come back from a shoot with thousands of photos (wedding photographers, for example), the time savings are substantial, as I can attest to. With this option gone, one has to manually move the photos, then import them. This may seem like a pittance of effort, but for those of us who have been using Lightroom for years, it can be very easy to completely forget that extra step, very quickly leading to a fragmented catalog. In the worst case scenario, if you're like me and you keep your photos on an external hard drive that is backed up to the cloud, but only parts of your main hard drive are backed up, these photos might be inadvertently skipped in the backup process, leaving them at risk. The bigger frustration, however, is that a large portion of users are plagued by sudden stability issues, many to the point of the program becoming unusable after merely 30 seconds in some cases. We here at Fstoppers had issues while working with the new version for our recently released review of the Canon 5DS R, Nikon D810, and Sony a7R II, prompting us to switch to another computer with the previous version installed. Of course, many photographers don't have that luxury, leaving them high and dry while waiting on Adobe to issue a fix. I think it’s important to provide some context to why we made changes to Import. Over the years we’ve done extensive studies of customers interested in Lightroom ... Customers were universally unable to decipher the Import dialog without getting frustrated ... The previous Import experience literally made people push back from their computers in frustration. Judging by the comments on Adobe's blog, many are wondering what customers Adobe has been speaking with. 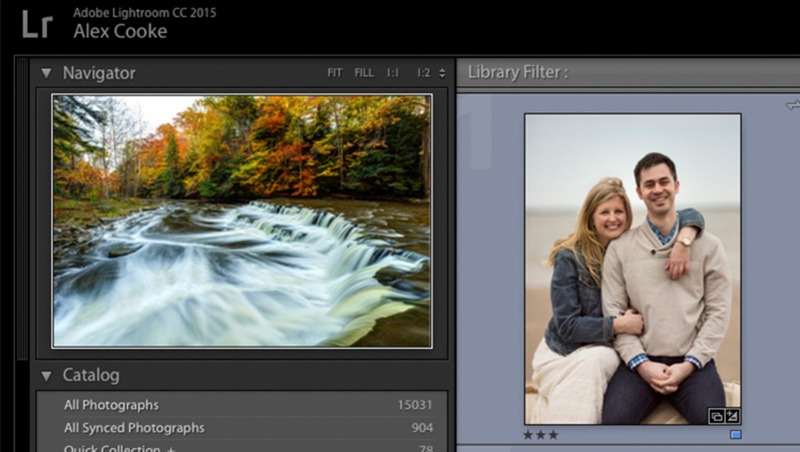 Have you upgraded to the new version of Lightroom? How has your experience been? Let us know in the comments! Who exactly "pushed back from their computer in frustration" because of the import function and how exactly does removing the automatic eject function stop this frustration? Also, does anyone have an INFORMED opinion on the legality of removing features from rental software under contract? what about removing features from the standalone version that people have already paid for in full?! "1.7 Modification. We may modify, update, or discontinue the Services, Software (including any of their portions or features) at any time without liability to you or anyone else. However, we will make reasonable effort to notify you before we make the change. We will also allow you a reasonable time to download your content. If we discontinue a Service in its entirety, then we will provide you with a pro rata refund for any unused fees for that Service that you may have prepaid." Yep, had the same crashing problems directly after i updated. Happened 3 or 4 times, then i did a restart to the Mac and now it seems to be working fine. Just imported some new pictures, the interface was ok, surprised me but I just wanted the photos imported so I didnt really mess around with the new parts. Any news on El Capitan and Nikon tethering? Totally non-functional on my end. From such a large company, I expect more. That said, I havent had any of the crashing issues. Early adopters certainly bites the dust these days... Luckily I haven't upgraded neither the OS or the latest LR version. Keeps crashing on my end. Totally messed up my day. It sounds as if Adobe may have taken the approach to only address complaints. So if no Pros were complaining, then just make changes to accommodate those that were unhappy or confused. Granted, for the new/casual user the old import screen (and many others in LR) could be overwhelming. While I like their attempt to remove confusion, I fail to see how removing functionality (dumbing down the entire section) could ever be a good idea. Software design 101 should have taught them that users HATE drastic changes in any UI and they are passionate about previous functionality, even if it was flawed or that functionality was not an intentional design element. Perhaps they should expand their UAT pool to include a more diverse group of Pro users. Upgrade was smooth. No issues but I do not like the deletion of the "eject card after import" feature. As to the extensive "research" Adobe cites I can only imagine they are reacting to the "Tea Party Users" IOW those who throw a tantrum rather than make an effort to learn something. you can install older versions of any adobe application using Creative Cloud app, just scroll down and click install button along the app name, and it will show all older versions you can install. But from what I've read, this "new" import interface is coming also to the stand-alone version of LR!!! I'm confused now! Didn't Adobe say that they won't release any new features to the stand-alone version of LR (that's why they aren't giving us the dehaze tool! ), but I see they've have no problem removing features we already paid for in this "update"! Yes, they messed up the Import in the stand-alone 6.1 as well. Must be a lot of computer-illiterates out that that complained. Now I have to do a 3-step import (Import, then move to 2 different folders I use, then synchronize the changes to update LR), so not happy camper here. I have used LR since LR 3 and started using Adobe CC earlier this year. Never had any problems with any of the standalone versions but CC has been nothing but problematic since I started using it six months ago. Working with customer support (more like third party forum advice) has been terrible and the "support staff" have been nothing but patronizing d-bags. Everything Adobe has said they would do they have went back on(support to PS6 comes to mind). If you Google "Adobe profits" there are numerous articles about how their margins have tanked by as much as 50% (both in the USA and internationally) since the release of ACC. The disregard for a user base that has been so dedicated to their photography products is complete BS. I always import weddings as soon as I get home and before I go to bed, so I just wake up in the morning and they are there. That's a non-issue to me. And since I import multiple cards at once, the auto-eject feature hasn't worked in several versions (doesn't work when you manually select sources like when choosing a hard drive as you mention). Late 2008 MacBook did upgrade to El Capitian with no issues there. Also did see a performance increase. Yes, my Lightroom crashes after 2 mins of use. All the time. I had to call my sister to tell her not to update. Bad decisions... Lightroom killed my workflow. Can't synchronize folders with subfolders... (I do jewelry focus stacking with HeliconRemote and I use Lightroom to manage files and export to DNG etc). 2nd mistake was updating to El Capitan which made my Photoshop unusable. I installed it and it's crap. Scroll bars and sliders do not work making the program completely useless. I wish I had learned my lesson on adobe upgrades. Their pushed rather hastily. I had problems with the last upgrade as well and its not my computer. Now I cant even quit the program, have to force quit. Fix the bugs Adobe, fix the bugs. Anybody do a rollback? "I’m very very disappointed with Adobe for forcing the Lightroom team to push this update out when it clearly wasn’t ready. It’s very poor customer policy to foister a frankly hopeless release for the need for a splashy PR event, AdobeMAX. As for the child-like import facility – I agree with some commenters here who see it as a way of dumbing down Lightroom to attract the Instagram crowd. Please, take care of your long term users. Give us the capability to have a powerful interface for importing images. It’s been there, getting more and more powerful ever since I started with Lightroom at Version 2. This version is hopeless. I want to do some clever stuff ON IMPORT. I can’t anymore. Lightroom is my primary imaging software. I need it to perform flawlessly and the previous releases have delivered. The Dev team were allowed to develop, test, QA and then deliver software that worked. They have failed because Adobe forced them to deliver before they were ready. For shame, Adobe, for shame. You get one more chance. I am rolling back to the old version. I am NOT looking forward to the Uninstall / Reinstall process for what that will mean for setting up my workflow, presets, ad-ons and config files. If the new new version works when I upgrade again you might start earning the respect you’ve lost with this debacle. If it’s another poorly thought out market grab, shunning the advanced and pro photographer who rely on LR for their livelihood and joie de vivre, then sorry, but I’ll find something else and my subscription will lapse. 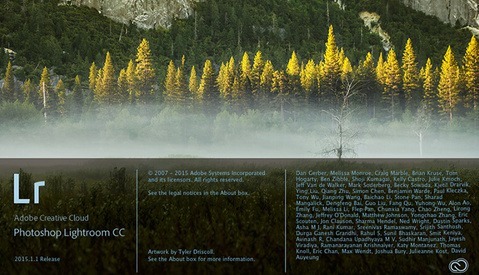 Adobe did the same with After Effects and Premiere Pro by adding an illegible blue GUI text on a dark background. There had never been a complaint that I know of regarding the previous ochre/orange GUI. Again, I put this down to Adobe deserting loyal, professional users in an attempt to make their apps 'cool' rather than professional. I no longer use them and have reverted back to the older usable version. The trouble is that, with changing codecs and technologies, I will be forced to use the ghastly applications one day. Paul, you have stated, in terms far more civilized than I can muster, the basic issues here. For me, if Adobe doesn't fix this stupidity, Lightroom is terminal. Crashed often when using the built-in Panorama function as well as when choosing the Export/Export to Previous function. Had to roll back to the previous version so that it can be usable again. Did Abode force the update on users, or did people just go and download the latest version to be the first kids on the block with the new toy, or have their software set to automatically update to accomplish the same? If it's the former, everyone has a legitimate gripe. If it's the latter, I laugh at you. So far it's voluntary. I get a reminder of updates available but ignore them.